Colorimetric gas detection tubes are one-off gas measurement units. They can quickly (within a few seconds) and accurately measure concentrations of a gas. 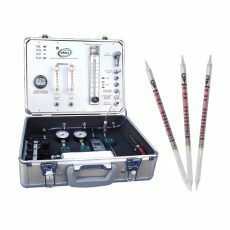 This measurement system is composed by a manual air sampling pump and reactive tubes specific to the targeted gas. This combination is inseparable. This solution is particularly well suited for measuring the presence of toxic or asphyxiating gas. 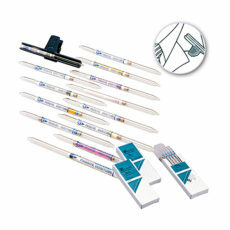 Colorimetric tubes enable detection of numerous common, rare or exotic gases (almost 500 gases and vapors). 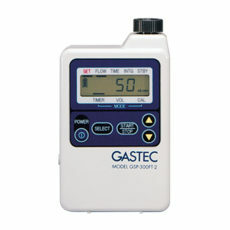 For some gases there are also different measuring ranges to meet the needs of everyone. Also known as dosi-tubes, dosimeter tubes measure a quantity of gas on a defined period (8 hours usually) to monitor time weighted average measures (TWA) of present gases and substances. Dosimeter tubes are widely used to monitor concentrations of formaldehyde, benzene and carbon dioxide in buildings open to the public. Time-weighted detector tubes are small and lightweight and feature a clip to wear it close to the breathing tracts in order to get accurate measures of inhaled concentrations. 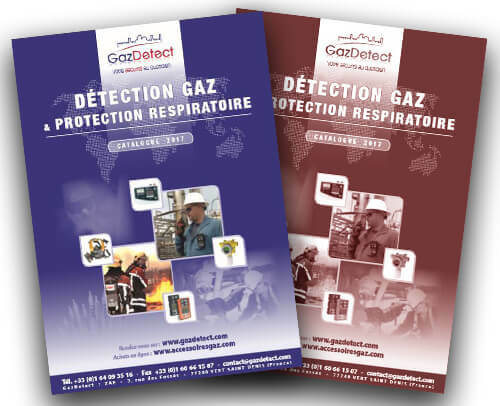 Thus they are very discrete and inform users of the global quantity of inhaled gas during the day. The automatic air sampling pump GSP series was especially designed to get a continuous monitoring of exposure limit values and time-weighted average values in ambient air. These automatic air sampling pumps can be used to monitor formaldehyde, benzene, toluene, xylene… An LCD display allows users to setup internal flow, global sampling volume and sampling time. The Pyrotec 840 pyrolyzer for colorimetric gas detector tubes is an additional device. It is used when gas measurement requires a pyrolytic sampling preparation to perform the detection. It can be directly adjusted to a GV-100S air-sampling pump to get a pyrolyzer system for fluorochlorocarbon (freon) gases, halogenated hydrocarbons (acetonitrile, methyl chloride, methyl sulfide…) and anesthetic gases. Airtec tubes enable easy and fast monitoring of compressed air cylinders quality for self-contained breathing apparatus, airline systems and diving bottles. This monitoring and control unit for breathing air offers better safety. 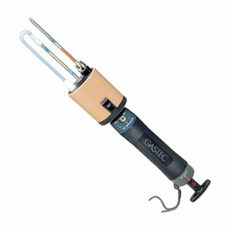 Combined with the Gastec pump, the Pyrtec 840 pyrolyzer thermally converts freons (fluorochlorocarbons), halogenated hydrocarbons and some anaesthetic gases in order to accurately measure them. Airtec tubes are a simple and convenient system for monitoring gas cylinders, compressed breathing air and airline systems. As industrial applications often produce, or are performed in the presence of harmful contaminants, it is essential to test these air supply units before using them. When self-contained breathing apparatus (SCBA) or other devices are used for operators breathing protection, breathing air quality requires special attention. Contaminants that may enter a compressor or contaminants generated can be harmful to the user and the protective equipment. 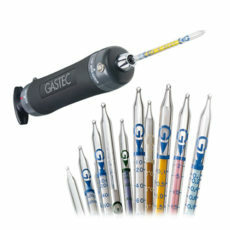 The Airtec Tube gas detection is a convenient and economical system for testing the quality of compressed breathing air. Measurement process is swift and easy to perform and requires no training or calibration. Contrary to colorimetric gas detector tubes, Airtec tubes do not require a sampling pump but a breathing air quality test kit which is intrinsically safe and can be used in any situation. Airtec tubes can detect the most common contaminants in compressed gas and supplied air systems. Indeed, they can monitor evaluate concentrations of carbon monoxide (CO), carbon dioxide (CO2), water vapor (H2O), nitrogen oxides (NO and NO2) and oil mist. The measurement procedure is quite easy to perform and requires only a few minutes. First, snap off both ends of the tube and insert the tube into the tube holder with the arrow pointing down. Then, adjust the flowmeter to the specified flow rate and note where the color stain stops. As soon as the sampling time is finished, turn off the air supply and get immediately instant reading of the contaminant concentration directly on the tube. This way, Airtec gas detector tubes require no specific training or technical skills so that anyone can use them quicly and safely. Airtec detector tubes are supplied in packs of 10 and are designed to meet monitoring requirements set in Standard G-7.1.Tubes by the Compressed Gas Association (American trade association for industrial and medical gas supply industries).